HARRISBURG, PA – Today the Senate approved legislation aimed at helping to protect schools and students from violence based on Senator Mike Regan’s (R-31) school safety legislation introduced this week. 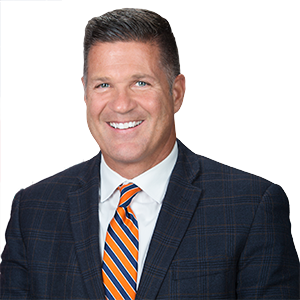 “I am proud to announce that many critical components of my School Safety and Security Program legislation, Senate Bill 1211, as well as language from my School Resource Officer proposal, have been incorporated into a comprehensive school safety bill passed as part of the state budget,” said Regan. Senate Bill 1142, which passed the Senate today with a vote of 47-1, creates multiple programs to improve school safety and security. The legislation also includes a total of $60 million in school safety grant funding. Each school district that applies is guaranteed a minimum grant of $25,000. “I commend our Senate leadership for recognizing the importance of not only establishing a school safety plan but also identifying funding within the budget to assist our schools in achieving the necessary security measures to keep their students and staff safe,” said Regan. Senator Regan spoke on the Senate floor and at an evening press conference regarding the passage of SB 1142. Videos of both can be viewed via the following links: Press Conference.